A novelty necktie. A “World’s Greatest Dad” mug. An apron for barbecuing. If you’re a dad, chances are you’ve unwrapped a present on Father’s Day to find one of the above items and had to force a smile and say “thanks” with as much sincerity as you could muster. If you’re a child and you gave one of these items, you have no excuses. Father’s Day should be a time when you give or receive something that’s functional yet touching. Something that’s long-lasting but useful. And yes, this mystical gift that’s all of these things does exist: the knife. The absolute worst part of a gift like a novelty necktie is that it’ll never get used. Maybe on some off chance the office will have a crazy tie day, but even then the tie will already be lost in the garage somewhere. The beauty of knives is that they can be (and are) used every single day by many people, even if it’s just opening packages from someplace like Knife Depot. My motto for gift-giving is to always give something functional. Knives can be personalized with meaningful text. Even something as trite as a flask becomes more meaningful when it’s engraved with a name or message, so imagine what would happen if you add text to a knife. You can get personalized knives here at Knife Depot on a select number of knives, including a Schrade Old Timer Golden Bear and Spyderco Tenacious. What sets personalized knives apart from plain old knives? For the next few decades, every time your dad looks down at his knife, he’ll remember who it’s from. Isn’t that all you can ask for in a gift? If you’re like me, the first knife you ever received was from your dad. So think of the symbolism associated with giving one back to him. 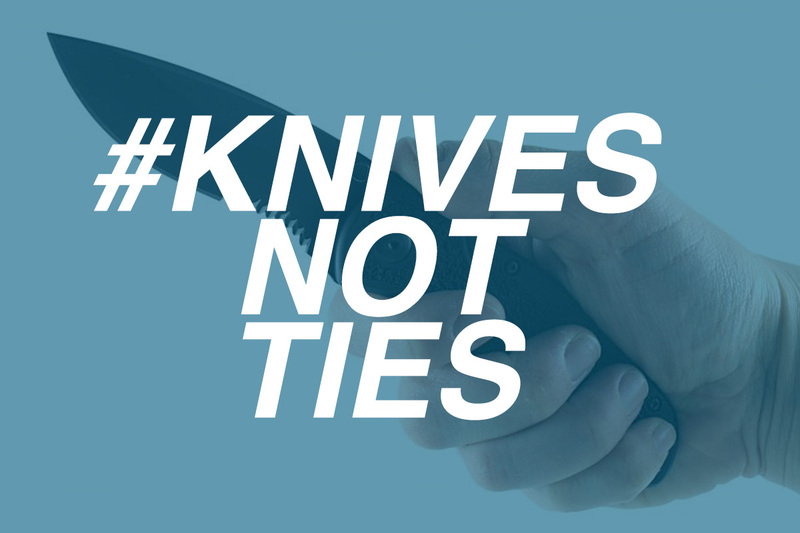 Knives are commonly given as a passage into manhood, but knives can also represent the passing of time or a meaningful event, which is why you will also see knives given to groomsmen. 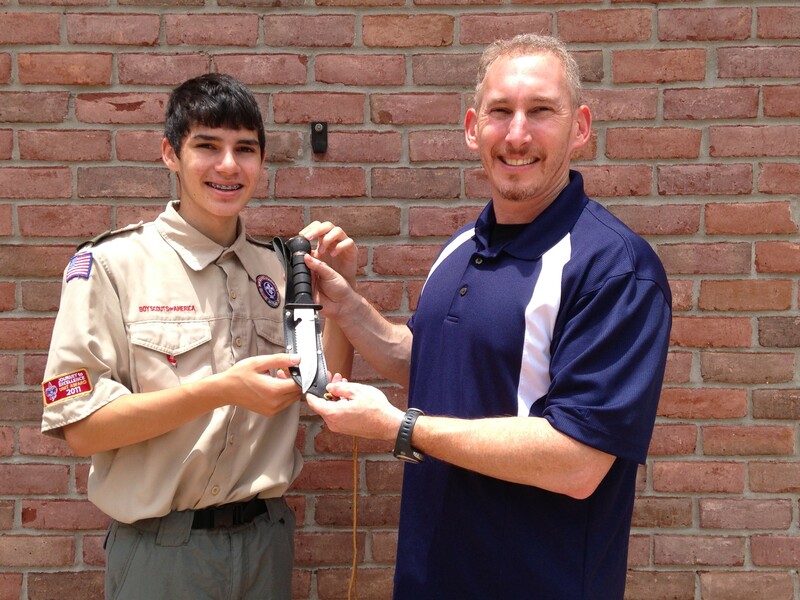 In one of our favorite stories from the past, the head of Knife Depot Warren Sager spoke to us candidly about passing down a knife to his son, Ian. Knives can fit the personality of any type of father. Is your dad an exec at an office? Is he a mountainman who loves the outdoors? Regardless of the type of man your dad is, there’s always a knife to suit his personality. If you take a look at a post I wrote a few years ago laying down the five best knives for Father’s Day, you’ll see a lot of variety. Knives fit within all types of budgets. While there are diamond-plated neckties you can buy for $30,000, the budget and quality of a tie don’t vary that much. But with a knife, you can get a knife within whatever budget you set. If you only have $30 spend, you can still get a good American-made folder like the Gerber LST. 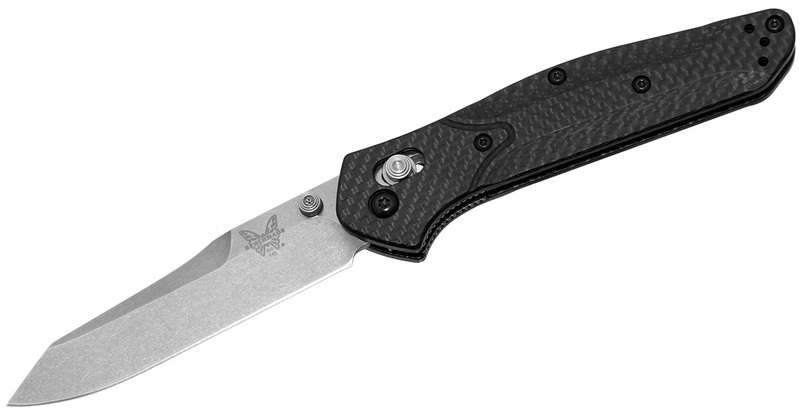 But, if you’re willing to spend a little more, you can get the premium and beloved knife like the Benchmade 940-1. There’s a whole world in between those models so browse to your own delight.